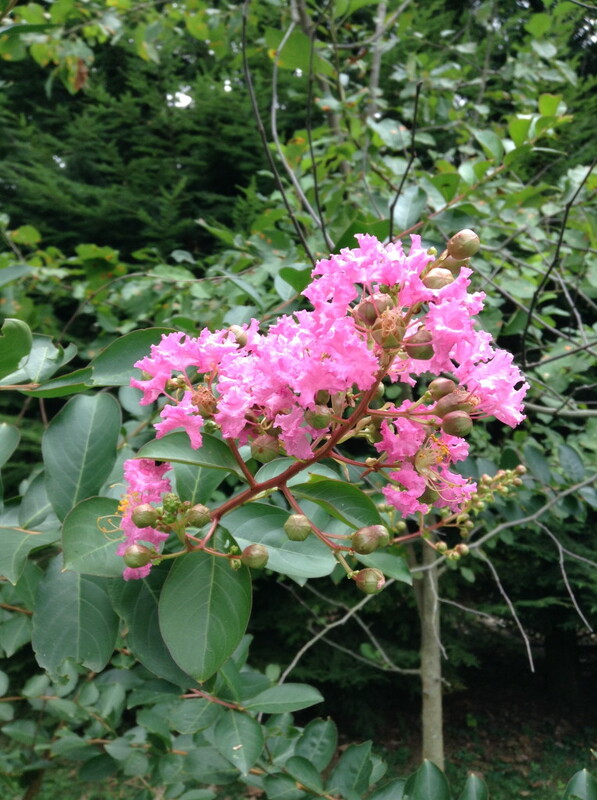 Crape myrtles planted along our driveway. 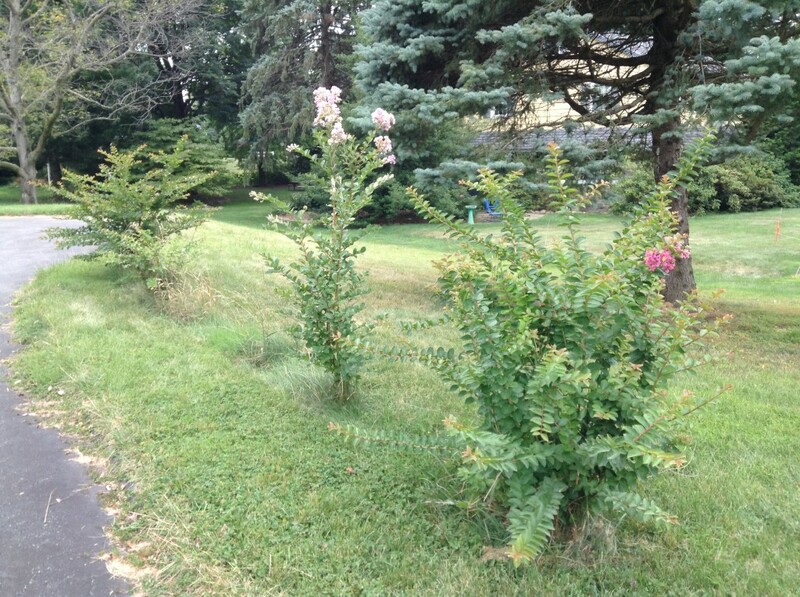 They were supposed to make a hedge with lilacs planted between them, but only one lilac survived (and it’s a mere twig). 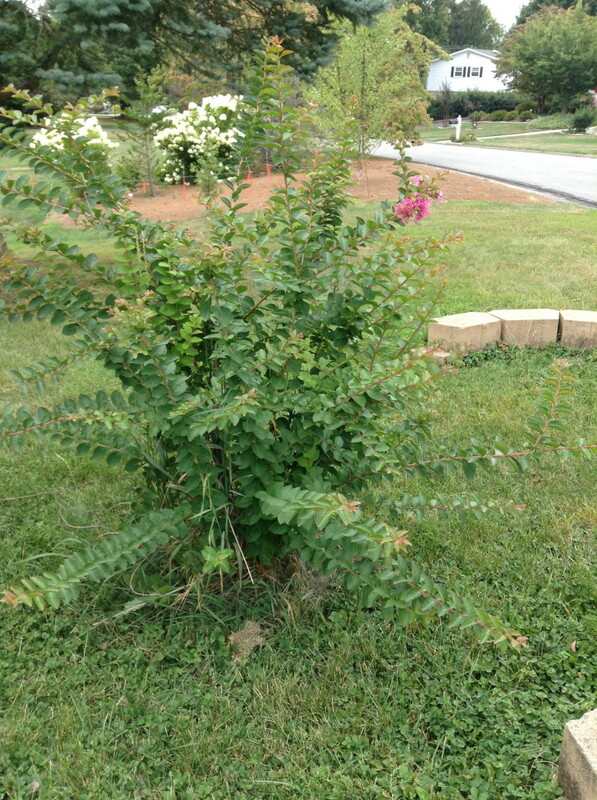 Our fullest crape myrtle in the “hedge.” In February, the snow reached the top of this bush (mostly because when we cleared the drive, the snow had to go somewhere). 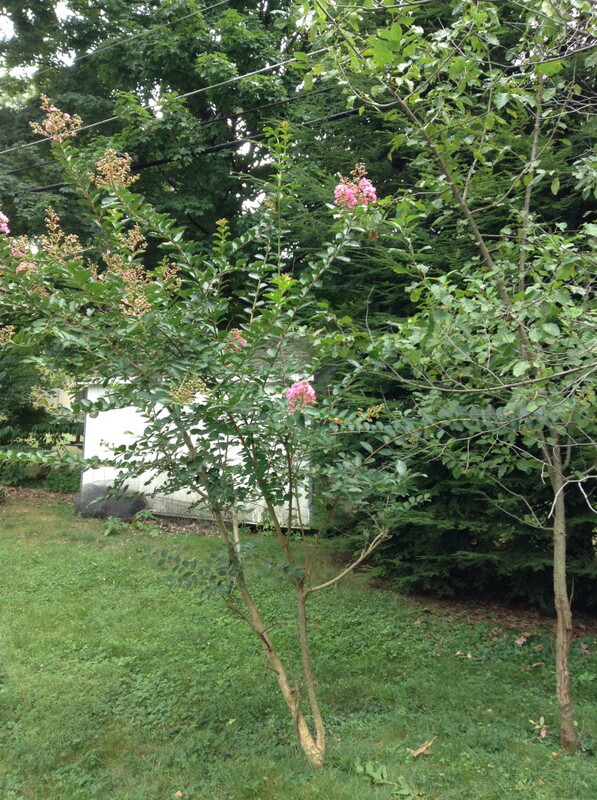 Not as full as the darker pink bush next to it, but taller this year. 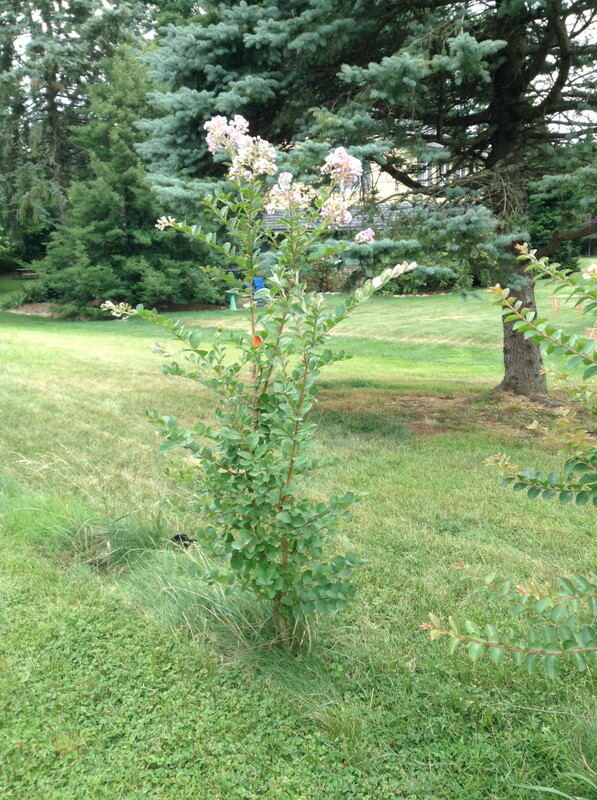 This is our oldest crape myrtle, pushing on to twice my height. 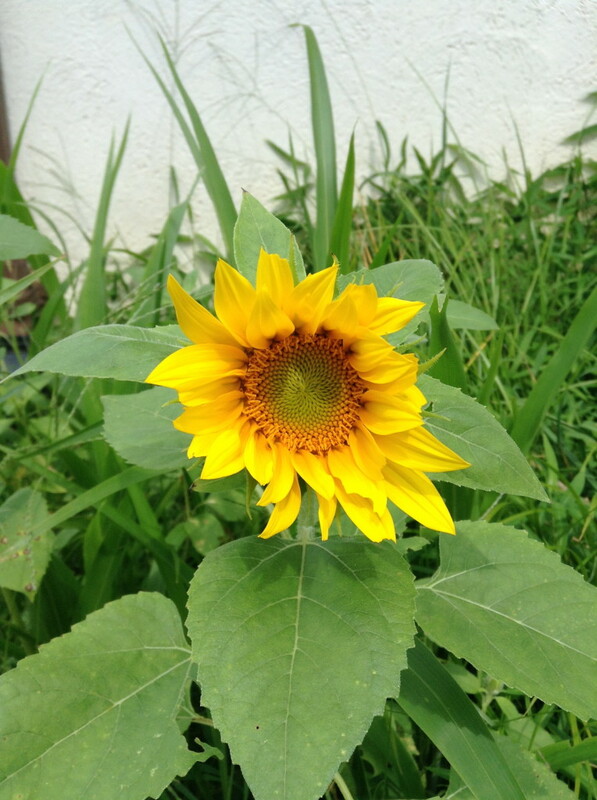 And the first sunflower is starting to bloom. 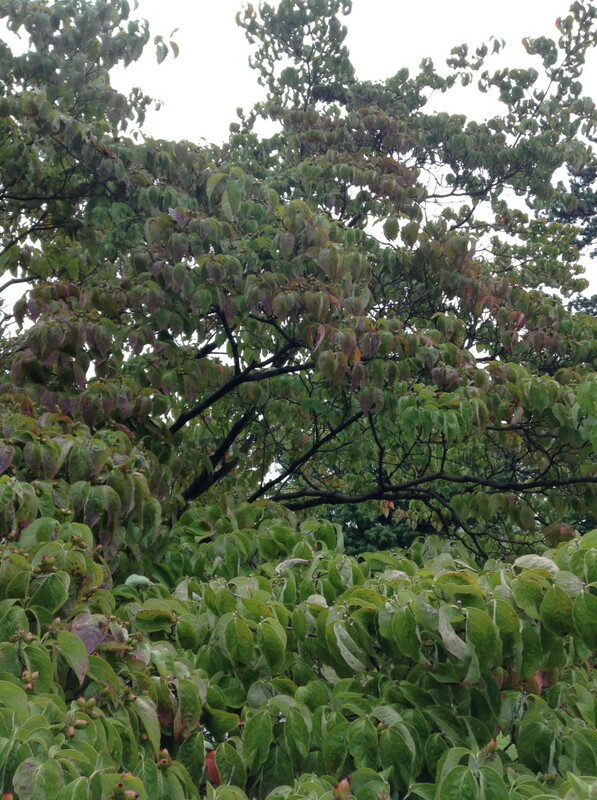 On the other hand, the leaves on our dogwood are already changing colors. 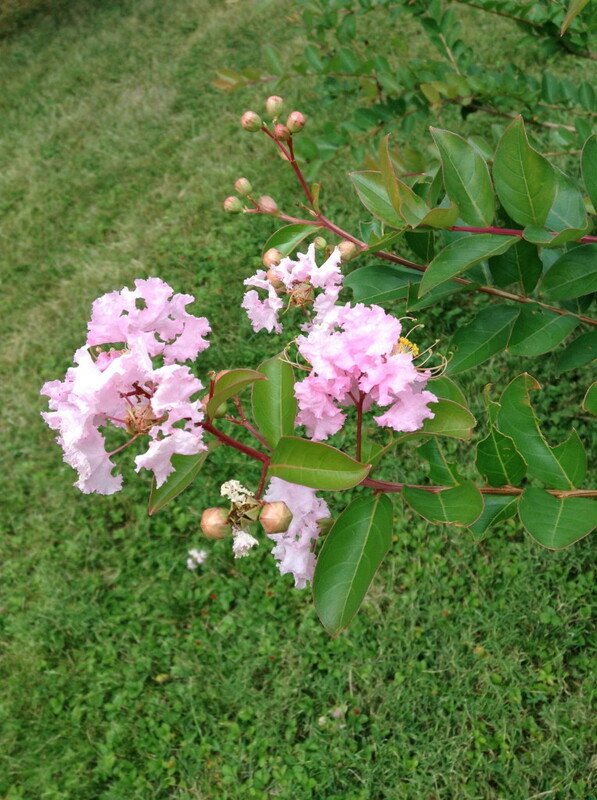 Before I know it, it will be “birds flying into window” season again as they eat all the berries from the tree. 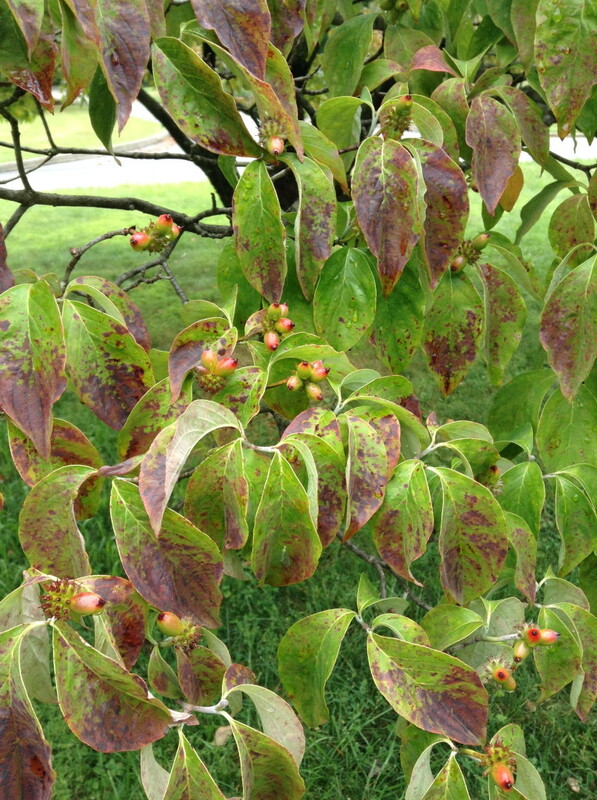 Our neighbor’s dogwoods are even more colorful.